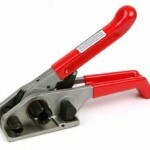 Quality Strapping stocks a full line of plastic strapping tools including strapping tensioners and strapping sealers. We have all the right tools for tensioning and sealing plastic strapping. If you are a distributor of packaging supplies, we should be your supplier. We specialize with mail order catalogs. We will gladly drop ship directly to your customer under your label. Manual hand tools for the most basic form of strap application. They are perfect for operations that either do not have access to power sources or do not require the speed of powered hand tools. 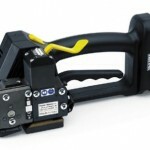 Battery operated plastic strapping tools are lightweight and power-full for polypropylene and polyester strapping. They are perfect where mobility is important and pneumatic air lines are not available.